It seems there is a national day for everything, the day to say I love you, the day to love your mother or your father, your secretary, your dog, even a day to be thankful. Do you find yourself needing reminders like this? A national day set aside to perform normal human emotions? "Out of the hearts abundance the mouth speaks"
In a world that is so busy that we even forget to stop and smell the roses, we can forget about those important things. Thankfulness heals and calms the human heart and brings deep joy, inner joy that plays into every single we say and do. Slowing down and relaxing and taking time with friends and family gets our mind out of the I'm too busy" mentality and helps us to regain our happiness. A few days ago it was "National Drink Wine Day." That day did not remind me to perform a natural human emotion, but it did remind me about the perks of sharing wine with a good friend or family member. It made me remember the warm comfortable relaxed feeling you can have with the great glass of wine and a conversation that provides a mental break from today's daily grind. That connection that I've experienced with those closest to me usually occur as I palm a goblet of an oaky bold red wine. It was said that "Wine makes the heart of mortal men rejoice". I do agree with that. So I'll have to admit that I and willing to embrace this national day of remembrance, a day for my heart and soul and for joy and thankfulness and friends and family and that wonderful liquid gold that I love so much. Just recently the oldest living Roseto native, Carmen Ruggiero passed away, just a month shy of 104 years of age. We had a chance to meet him at the "Centi Anni" or 100 yr celebration of Roseto's history and he was a charming man with a great knack for humor. There is a tiny hill town in Pennsylvania called Roseto. It was established in 1912 by a small Italian community that moved to America from Roseto Valfatore, Italy and it is part of our family's rich heritage. It's a town where everyone's related, you're always meeting another new cousin, and everyone knows everyone. What was amazing about this town and these people was their incredible history of longevity. They had low heart disease rates and cancer, especially among the men. Because of this they were outliving the average American in upwards of 8 to 10 years. So a 10 year study was done to figure out why. It was called the "ROSETO EFFECT". Our heritage is in our wine. Everything they ate and drank was tracked daily, and the final result was that it wasn't their gardening and homemade foods that helped them to live longer. Everyone in town made wine, and wine is good for you right? Well, it wasn't the wine either. The answer is quite beautiful, it was the tight-knit community, that sense of well-being and love that everyone felt, that made them live longer, happier and healthier lives. You see, everyone took care of their own and their neighbor. Even the town bum who was lovingly called "mangiare e bere" or "eat and drink", I was told that he never slept on the street and never missed a meal. I wish times were still like that. 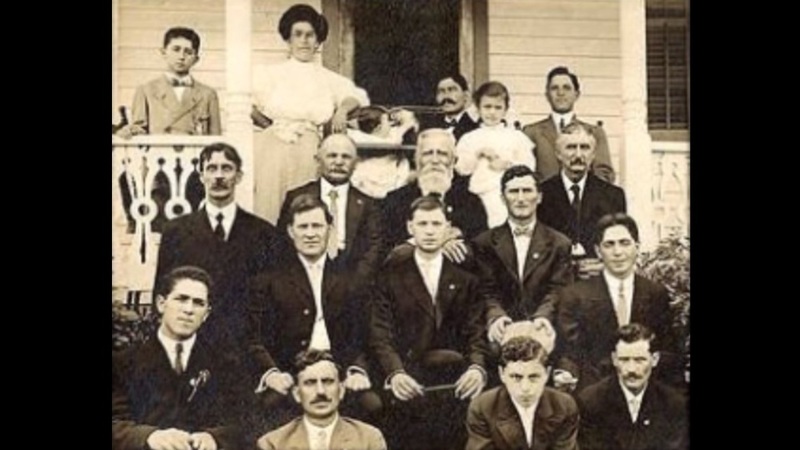 So that is why we decided to honor our family as well as the community of Roseto, Pennsylvania for their remarkable history because they knew how to live right. That is why we called our Italian red wine the "Roseto Effect". We honor their tradition of winemaking by blending Sangiovese, Chianti, Merlot and Cabernet Sauvignon to make a beautiful Italian Red Wine just like our forefathers did, perfect for pasta Sundays. *to read more about the Roseto Effect, visit our "Wines" page and select "Roseto Effect"